Personalized Fishman-Quality Sound In A Portable, Powerful and Easy-To–Set-Up Package. The SA+6 Bundle includes the SA Expand 4-channel expander/mixer to accommodate small performing groups or presentations requiring extra inputs (6 total). It also includes the SA Deluxe Carry Bag. 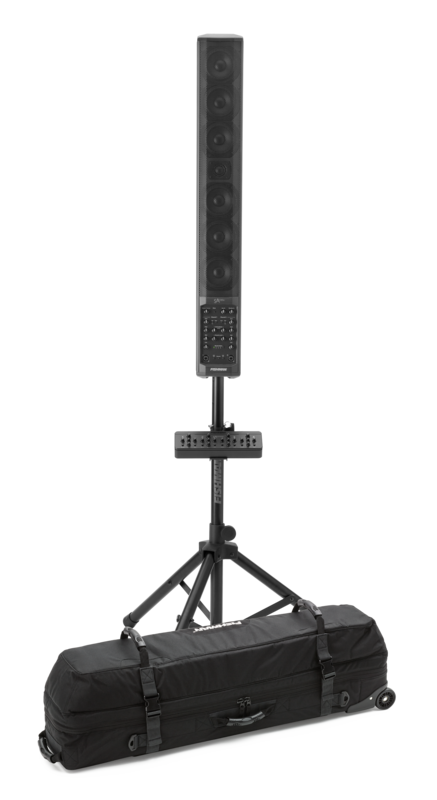 Easily personalized for your specific audio needs, the Fishman SA Performance Audio System is the ideal solution for solo acoustic performers, small combos, DJs, keyboardists, corporate presenters at trade shows or in conference rooms… any and all who need to be heard in small to medium-sized situations where a portable, practical and sonorous performance amplification solution is required. Whether you’re using your SA330x for vocals, performance or playback, a full complement of inputs and outputs makes set-up a breeze.